The 2018 NFL season has not gone as planned for the Oakland Raiders. As a result, the spotlight has now been fixated on the relationship between head coach Jon Gruden and Derek Carr. It is encouraging to see that such verbal spots are not taken personally. There was some concern about the potential strain between the two following several heated arguments on the sidelines several this season. Both have since done everything they could to downplay any notion of friction. Carr’s comments are further evidence of that. Although the Raiders have endured an abysmal season thus far, Carr has been adamant about remaining competitive to finish out the year. The fact that they are still getting worked up about the offense in a lost year shows they are still doing what they can to win. They certainly proved as much after nearly pulling off an upset over the Kansas City Chiefs in Week 13. Carr enjoyed one of his best performances of the year after completing 29-of-38 passes for 285 yards and three touchdowns. 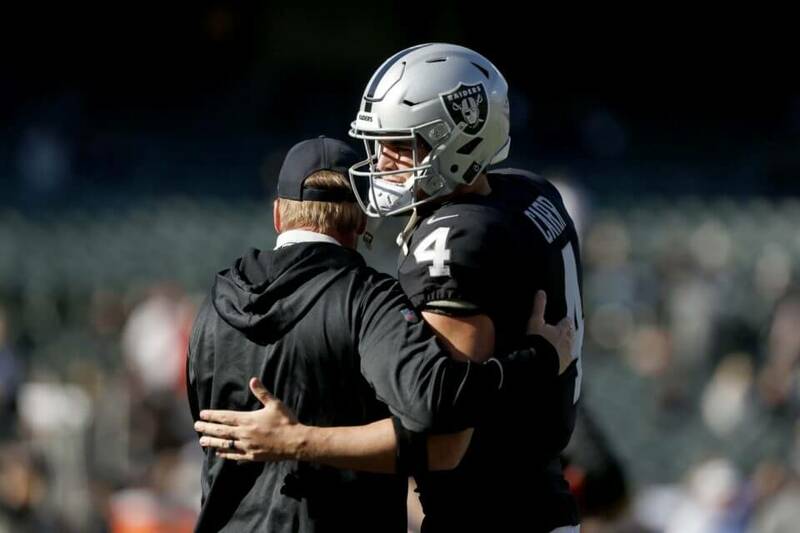 If there is a silver lining in this disastrous year, it is that Carr seems to have no issue with Gruden’s fiery demeanor. There was plenty of speculation prior to the 2018 season regarding whether or not the fifth-year quarterback would be able to handle his stern approach. However, it is clear that he is more than up to the task. Regardless, the Raiders long-term plans for Carr remain unclear at this time.